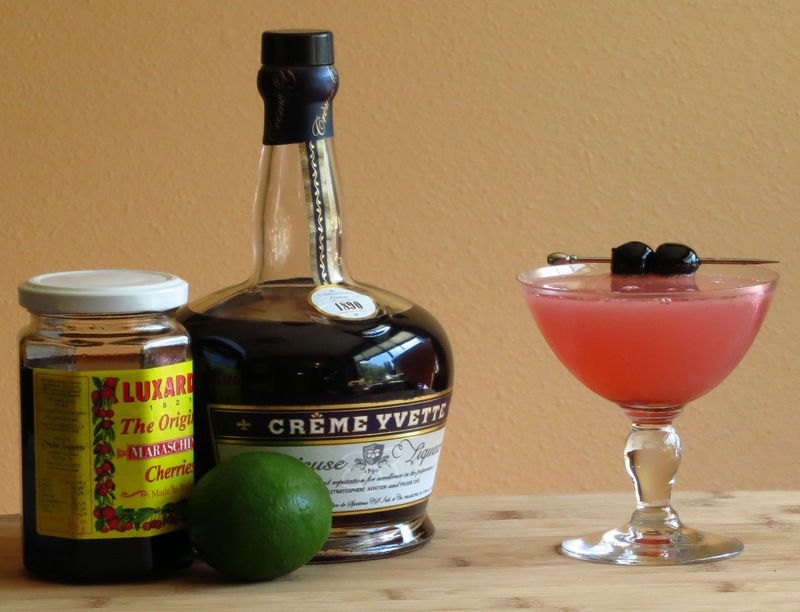 This week we look at the Pink 6, one of Christa’s early original cocktails. Because Pink 6’s are quite tasty and we drink them a lot, we’re constantly noodling with which gin makes the “best” Pink 6. So this week we decided to start documenting our results, starting with Ebb+Flow, Amethyst, and Soft Gin. If you’d like to know more about each of these gins, please check out our Washington gin showcases parts one, two and four respectively. Shake with ice, strain into a glass, garnish with a cherry. Nose: Lime, violet, creamy lemon. Hints of juniper and orris root. Palate: Sweet, well-integrated floral and lemon flavors start on the intro and carry into the finish. 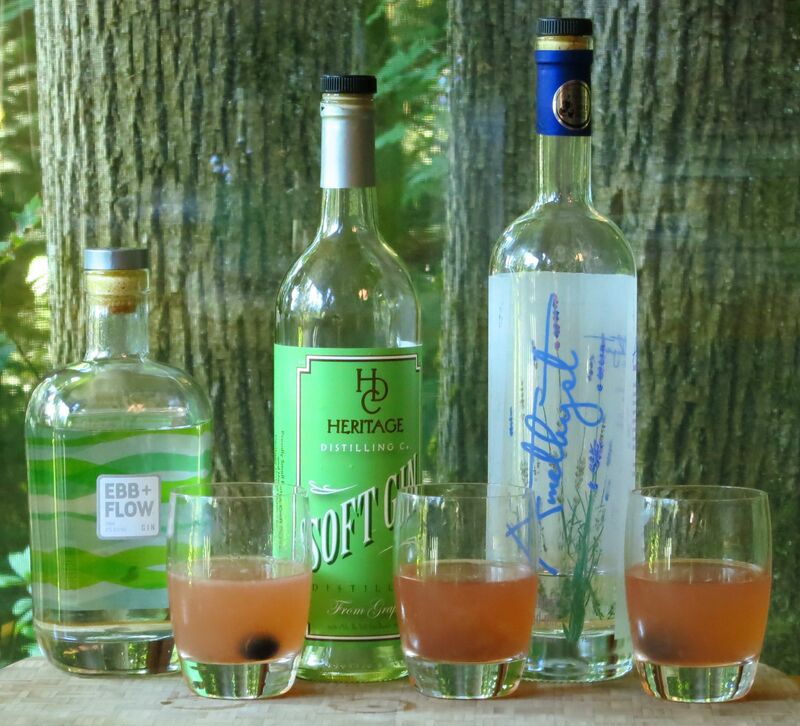 Lime grows from subtle in the intro to peaking at the mid-palate, providing balance so it’s not too sweet. Juniper and other gin botanicals show up on the fairly dry finish. As it warms up, perfume-y vetiver and lemon peel notes get stronger on the finish. Nose: Lime, bracken, lavender, little bit of black pepper. Palate: Starts with fairly sweet berry and cherry notes on the front. Very floral mid-palate with lots of lavender plus some elderflower and honey is followed by an astringent kick of lime on the finish. Like the Ebb+Flow version, well-integrated. The lavender notes increase as it warms. Nose: Strong grape-y notes like grappa (not surprising since the Soft Gin is grape-based) along with lime and tarragon. More subtle fruity and faintly astringent notes like apple cider vinegar as well as some earthiness. Palate: Lime and tarragon to start and then strong, clear juniper on the mid-palate. More tarragon on the finish. Grape brandy notes underpinning the herbal flavors throughout. Heavy, almost viscous mouth feel. This version is much more herbal than the other two. Quite tasty if a bit unexpected, given the way the Soft Gin moves the drink into a savory space despite the sweet floral liqueurs. We got a nice range of flavors along the sweet/savory spectrum for this round of Pink 6 experimentation. All three iterations of the drink are really quite tasty, and which one either of us might choose as our favorite would almost certainly vary from week to week 😉 One of the things we both like about this cocktail is that it is fairly forgiving, and the base spirit always has a chance to shine through; most gins make a very nice Pink 6, it’s just that they all make very different ones. We hope you try this recipe with your favorite gin and let us know what you get. This entry was posted in creme yvette, gin, Original Cocktail, st. germain and tagged amethyst gin, drinkwire, heritage distilling soft gin, pink 6 cocktail recipe, sound spirits ebb + flow gin. Bookmark the permalink.